The Greenwich Historical Society’s recent call to action to identify significant and inspiring places in town got us thinking. How much does the Greenwich community know about the rich history of The Nathaniel Witherell? If you drive by our campus on Parsonage Road, you’ll note our striking buildings and manicured grounds. But even as we’ve continued to upgrade and beautify our facilities and grow our services for the community, we felt it was time to pay homage to our roots. So, we enlisted the help of the Greenwich Historical Society, as well as our internal documentarians. Though there’s been much change over the last 114 years, The Nathaniel Witherell has held an important place in the history of Greenwich. Then as now, it’s the passion and dedication of community-minded donors and volunteers who made it possible for us to deliver the highest quality care in the most beautiful town in Connecticut (ok, we’re a bit biased!). Our journey began in 1903. Here is a brief look at the history of The Nathaniel Witherell (along with fabulous vintage photos, courtesy of the Greenwich Historical Society). 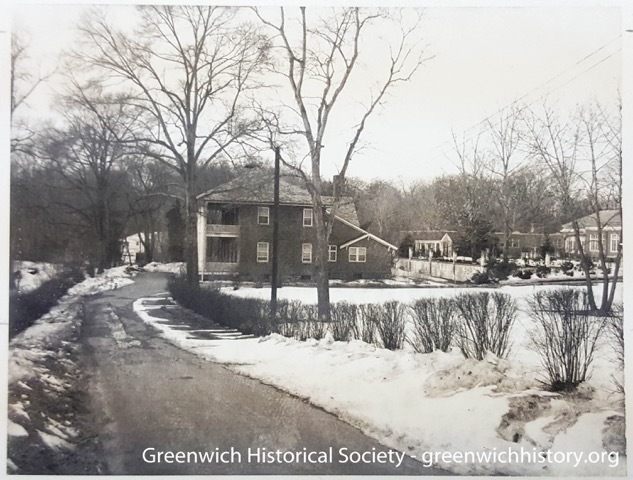 1903… Greenwich philanthropist Robert M. Bruce and his sister, Sarah E. Bruce, donated 15 acres of land on Parsonage Road including a caretaker’s cottage and three buildings. 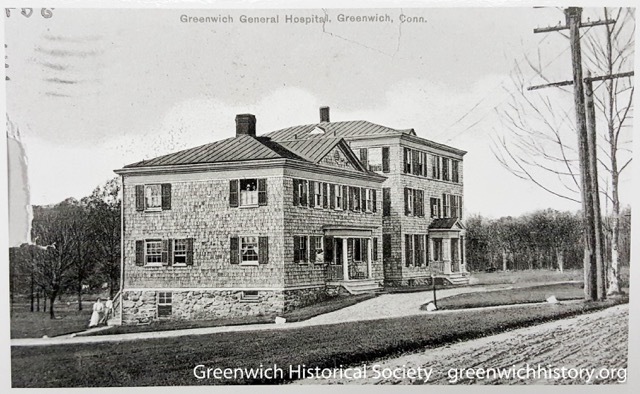 This complex is named the Greenwich General Hospital and is dedicated to the treatment of smallpox, diphtheria, scarlet fever, and other infectious diseases. 1911… The Nathaniel Witherell Memorial Pavilion is built with funds donated by Rebecca Witherell in memory of her late husband Nathaniel Witherell (1842 – 1906). Witherell acquired his fortune as president of the International Metal Company. He subsequently became the foremost developer of high-end Greenwich real estate subdivisions such as Rock Ridge, Belle Haven, and Field Point Park. 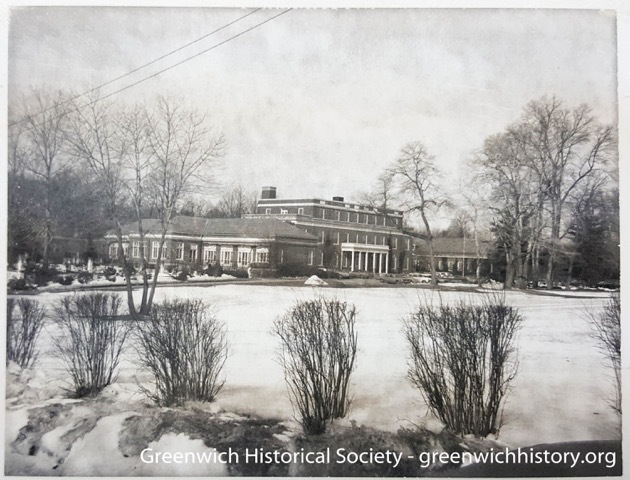 1917… The “new” Greenwich Hospital, merging functions of Greenwich General and Milbank Hospitals, is established on Perryridge Road. The Parsonage Road facility is renamed the Greenwich Municipal Hospital and its sole function is for the care and treatment of patients with communicable diseases. 1932… With additional funds donated by Rebecca Witherell, work commences on the new Municipal Hospital, which replaces the original buildings donated by the Bruce family. 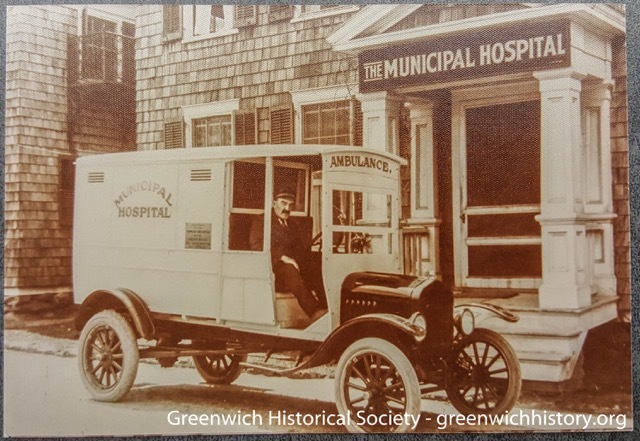 1946… The Greenwich Municipal Hospital changes its name to The Nathaniel Witherell Hospital (Hospital is later dropped). 1955… The Nathaniel Witherell is remodeled to include facilities for rehabilitation therapy and is dedicated exclusively to the care and treatment of the chronically ill.
1956… The Nathaniel Witherell Auxiliary is founded by Mrs. Nancy Carnegie Stillman Rockefeller, Mrs. John Howard, and Mrs. Robert Craig. The mission of the auxiliary is to raise funds in support of Nathaniel Witherell and its residents. 1961… A new one-story, 50-bed West Wing is constructed. 1974… Greenwich’s Representative Town Meeting (RTM) creates the first Nathaniel Witherell Board of Directors. This Town appointed Board oversees the operations of the Nathaniel Witherell. 1975… A new four-story, 150 bed addition known as the Tower is constructed on the north side of the Nathaniel Witherell. 1976… The Nathaniel Witherell Auxiliary raises funds to build a chapel on the east side of the Administration Building. Also in this year, the Patients Trust Fund is created to improve the quality of life for Witherell’s residents. 1986…The Nathaniel Witherell Memorial Pavilion is converted to five residential units for low-income elderly Greenwich citizens. 1990… The Nathaniel Witherell reaches its current 202-bed capacity. 2000… Nathaniel Witherell’s short-term rehabilitation services are expanded to include physical therapy, occupational therapy, and speech and language pathology services. 2004 …The Friends of Nathaniel Witherell, Inc. (the “Friends”) was incorporated under the Connecticut Non-Stock Corporation Act to promote the interests and welfare of the Nathaniel Witherell and to solicit charitable contributions for that purpose. 2010… The Nathaniel Witherell is listed in the National Register of Historic Places by the U.S. Department of the Interior. 2013-2016 Project Renew Witherell – a $27.7 million renovation of the 125,000 square facility begins, as does a Capital Fundraising Campaign organized by the Friends – the first in the history of Nathaniel Witherell, to contribute to the Town of Greenwich as the public fundraising commitment to Project Renew. The Friends raise $4,588,873 in support of Project Renew Witherell. In addition, the Friends have played a leadership role in procuring an additional $4,620,074 in State grants and tax credits for the benefit of Project Renew.